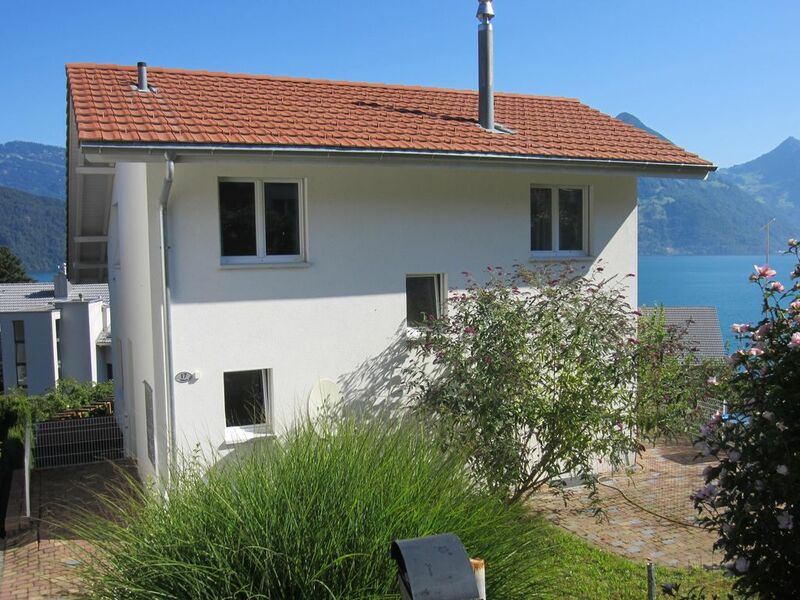 La casa si trova al di fuori dei Buochs ​​villaggio adiacente al Burestadl albergo con l'autostrada rapido accesso. Offre una vista panoramica libera del Lago dei Quattro Cantoni, il Bürgenstock, Rigi, Vitznau, fontane e Klewenalp. Godetevi una gita in montagna, Lago dei Quattro Cantoni o alla vicina città di Lucerna. Che sia estate o inverno vacanza, tutti gli sport su terra e acqua sono raggiungibili a breve. Vicinanza alle auto negozi, cavo, centri come Lucerna, etc. Nach anfänglichen Schwierigkeiten haben wir die Wohnung wirklich lieb gewonnen. Great mountain views. Close to great little town and only 15 minutes from Lucerne. The house was beautiful with amazing views. The house had all the amenities of home and close to many attractions. Sehr schönes Ferienhaus u sehr netter Ansprechpartner. Schöner Seeblick.Alles für einen Ferienaufenthalt vorhanden. Gutes Preisleistungsverhältnis. Die nahe Autobahn ist nicht nur bei diesem Haus. Uns hat sie nicht gestört. We were in Buochs in November to visit a friend in Luzern and spend time with our family . Our one-year-old son loved the stairs in the house and the playing area with chickens nearby. The house has many rooms and the equipment and other facilities all work fine. Parking place nearby. We had a lovely week. Wir haben unseren jährlichen familienurlaub in biochs verbracht mit insgesamt 8 Personen in diesem Haus und haben uns sehr wohl gefühlt. Ein guter Startpunkt für Ausflüge in dieser schönen Gegend.